The hot springs at this hotel are natural hot springs. Guests can enjoy beautiful scenery of the nature throughout all four seasons from the largest open-air baths in the Echigo-Yuzawa area. 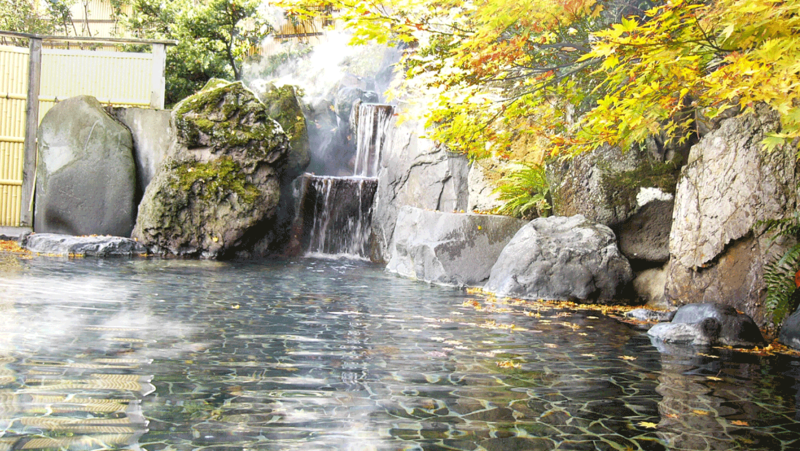 Our natural hot springs is highly effective to relax your body and mind. You can enjoy a bath, relaxing and looking up the starry sky at night. Both the women's and the men's open-air baths at this hotel are the largest in the region. 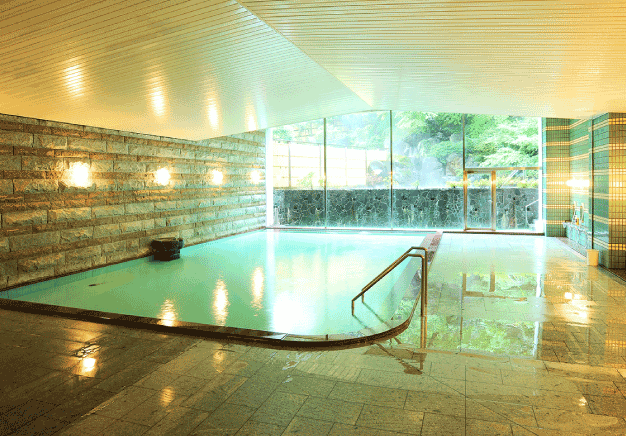 In the baths, you can enjoy a starry sky at night and watch the falling snow in winter. Both the women’s and men’s indoor baths at this hotel have high ceilings, and the baths themselves are made of marble. 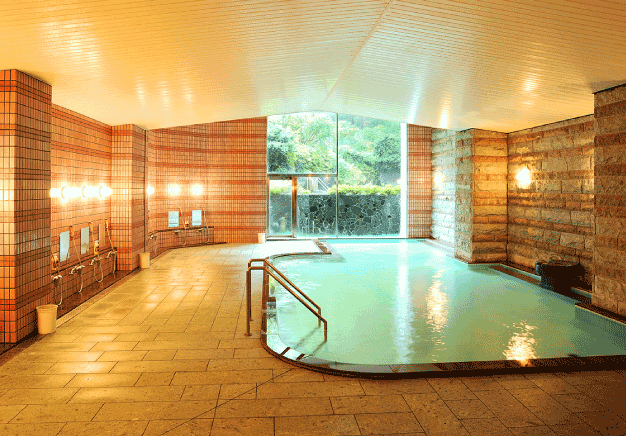 The baths have enough space to hold more than 60 people at once, so you can enjoy a laid-back bathing time.